After spending hours in the kitchen creating a delicious home-cooked meal for your family, the last thing you want to do is scrub messy pots and pans. 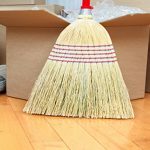 Unfortunately, if you do not clean them quickly, this task can go from a small inconvenience to a mountain of work. There are countless DIY tips and home remedies for hard-to-clean baking pans, but it is difficult to pinpoint any truly effective practices because of a variety of factors. 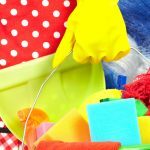 Here are six amazing tips that will help you find the best tools for your unique cleaning needs so you can have your baking pans looking brand new after every meal. One of the most important tools in your cleaning kit is your sponge collection. 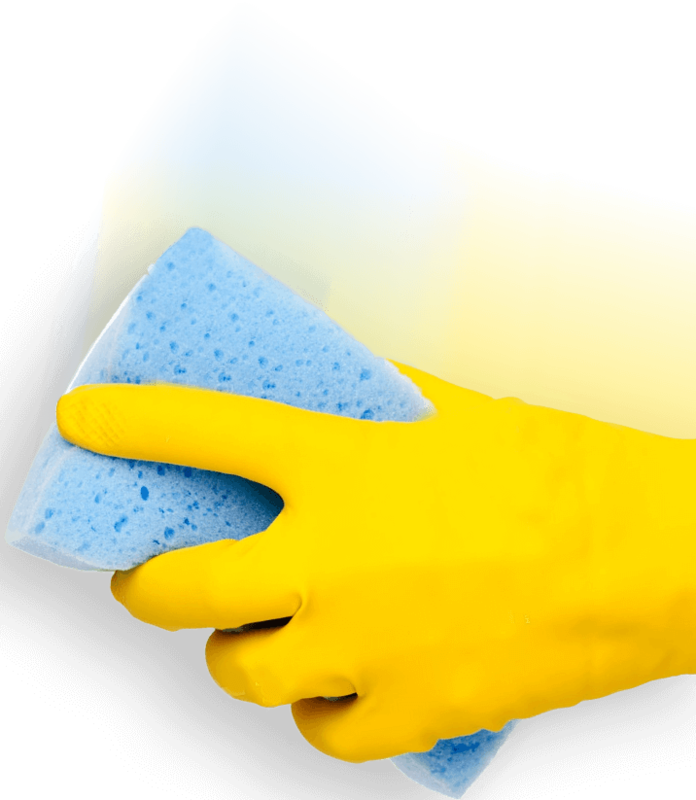 Each sponge is designed to clean a different material, so it is important to make sure you have the right tool for the job. For example, for coated, non-stick pans, soft sponges are ideal because they will not scratch the surface of compromise the integrity of the coating. For stainless steel pans, a very fine steel wool should effectively remove cooked-on gunk without scratching the steel. Whether you love cooking on cast-iron pans or prefer pans with a non-stick coating, each material can be best cleaned with a different sponge. Once you have a better idea of the coating on your baking pans, you can research sponge types and experiment with what works best for your cooking style. There are countless home recipes and DIY tips for cleaning pots, pans, and baking sheets. Some are simple, like the classic combination of baking soda, vinegar, and salt. When used in the right order, these ingredients create a paste that helps to neutralize odours and loosen cooked-on food and other debris. Beyond this recipe, there are many more secret tips that may be effective in certain situations. Some ideas are more creative than others, while some are simply unbelievable until you try them, such as using ketchup to eliminate cooked-on food and restore the shine of your baking sheets. Many of these creative cleaning solutions are effective – you simply need to find what custom combination works best for your cooking style. Letting your dishes soak is a classic cleaning tip that will have you reliving your worst memories of the kitchen at your college dorm. Soaking your pots and pans for long periods of time can make them easier to clean, but it is much more effective to soak them for a short period of time in boiling water and scrub them as soon as the water is cool enough for you to touch it comfortably. Boiling water helps to remove burnt food and other debris from the pan. While soaking it for long periods can help, most of the benefits of this come in the first few minutes while the water is hot, and letting your pots and pans sit for long periods of time shows diminishing returns. For the easiest and most efficient clean, simply add some water to your baking pan, bring it to a boil, and scrub with the proper sponge and cleaning mix. All-natural and organic soaps and cleaning solutions are not just a trend – they are the way of the future. Many people have opted for natural cleaners, especially since our dishes come into direct contact with our food. By using organic solutions, you prevent chemicals and other harmful substances from seeping into your food as you cook. A simple combination of tea tree oil – which is a powerful antibacterial oil – and organic dish soap is strong enough to fight grease and cooked-on food while being made from all-natural ingredients, so you can trust that your dishes are as clean and safe as possible. The benefit to creating your own organic soap is that you can tailor the ingredients to your preferences. Whether you love the smell of tea tree oil or prefer the uncompromising strength of white vinegar, the choice is yours. Unfortunately, not every cooking mess can be cleaned with organic ingredients and a little elbow grease. Some stains are simply too strong to fight with natural ingredients. If all else fails, chemical compounds such as bleach, borax, and peroxide are very effective in cleaning stained pots and pans. 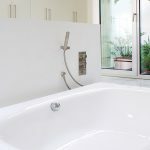 If cleaned properly and with the necessary safety precautions, using bleach and other chemicals can be a simple, straightforward, and safe process. 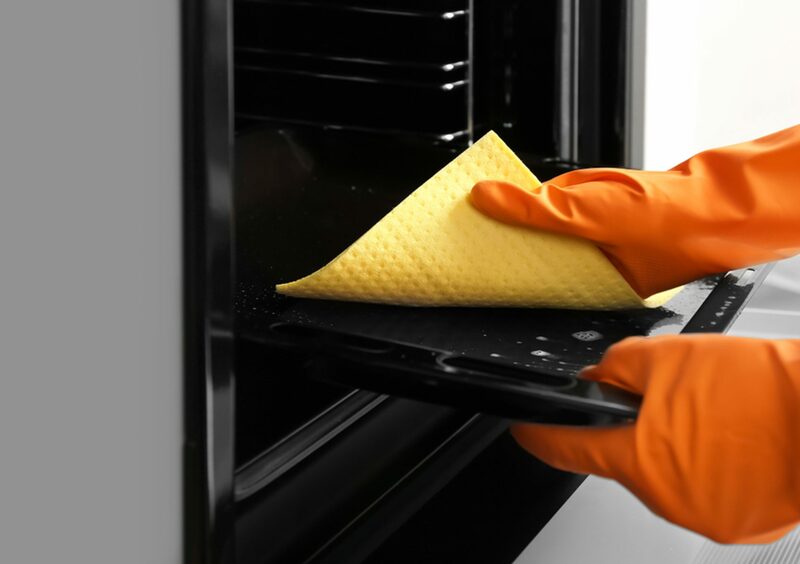 Although it is not the first choice for many in the kitchen, sometimes it is necessary to tackle tough stains, burnt food, and scorch marks with stronger cleaning solutions. Of course, the alternative to complicated cleaning solutions is simply to buy non-stick pans. While these non-stick coatings are often effective, they can be damaged quite easily if not cared for properly. For example, steel wool or other sharp, jagged cleaning objects can scratch and damage the non-stick coating, which will make the pan prone to rust and other damage, as well as more likely to burn your food. 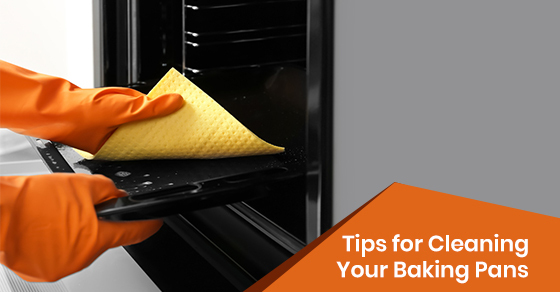 Ultimately, how you clean your baking sheets depends on your cooking style and the material of the pans you use. With a little bit of research and experimentation, you can create effective, organic cleaning solutions tailored to your cleaning needs. At Maid4Condos, we offer exceptional customized cleaning services based on your budget and your schedule. For more information about our cleaning services, or to receive a quote, call us at 647-822-0601 or contact us here.